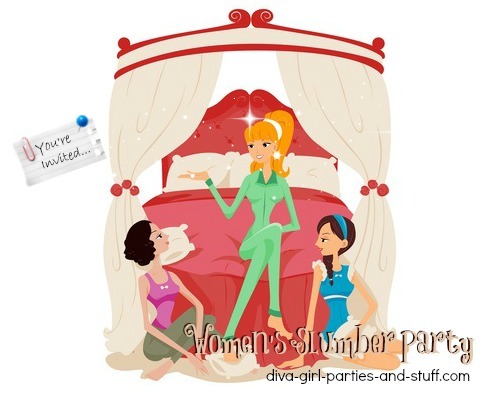 Okay ladies... you know you've been wanting to plan an adult slumber party and experience the crazy fun, laughter, and conversation you enjoyed at slumber parties you attended in your youth. Well... what's stopping you? Slumber parties are a ritual girls of any age can celebrate and they should. Most of us can reach back into the recesses of our memory banks and pull out a mental scrapbook (or a real one if you were that dedicated) of that rite of girlhood passage – the slumber party. Yes, those times reminiscent of fun, freedom, and endless possibilities. Nights were spent sitting around in our pajamas, hair pulled back, with some indescribable "goop" on our faces, daring each other not to fall asleep. Enormous amounts of junk food were consumed while we painted nails, flipped through teen magazines, and giggled like a bunch of schoolgirls(which, of course, we were). Is it coming back to you now? Do you remember those pillow fights, and dancing like fools to music that made anyone over 30 cringe? Those days when we could talk for hours about a new pair of shoes, and our biggest concerns made our parents chuckle – not because they didn't think our problems were significant, but because they had twenty years of hindsight to put things in perspective. Do you remember hearing "Someday you'll look back on this and laugh"? Yet, there was just something about talking it over with friends that made everything so much easier to bear. Slumber parties were a confidential time when secrets were whispered, dreams were shared, and broken hearts were mended. They were times when we could jump on the bed, try a wild hair style, and act ridiculously stupid without it being held against us. Of course, none of us would ever admit it, and we would invariably deny it to anyone outside those four walls. In the words of Mary Hopkin, "Those were the days my friend, we thought they'd never end" – but they did. Although for some of us those memories have become a little fuzzy around the edges, we often long for those carefree moments when the main focus was relaxing, laughing, and building friendships. Well, why not? While most of us wouldn't trade our current lives for all the drama and insecurity of our teen years, we can recapture a modified and more mature (though not necessarily more dignified) version of our youthful selves, if only for an evening. Sometimes the busyness and stresses of life can become completely consuming. We get trapped in a routine overflowing with responsibilities and deadlines, but little time for fun and friendship. So… stop moving for a moment, exhale slowly, and create a mental list of all those friends you have been meaning to make plans with. Now, go to your computer and start planning your grownup adult slumber party. Choose a pretty invitation and make it read "slumber party", then send it out to all those unsuspecting ladies. 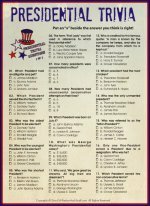 Of course, many of them will probably think you've lost your mind; but don't worry, it won't be long and they will be taking the same journey down memory lane. You may even find them inviting you to their own adult slumber party soon thereafter. Now, for those of you who think I'm crazy, let me assure you that an adult slumber party is a great way to break away from the usual routine, reconnect with friends, and have some fun. Also, with rising fuel prices and an increased cost of living, they are a practical alternative to the more expensive options for a Ladies Night Out. And, since the night is about you and your friends, your party can be as structured or as casual as you would like. Your adult slumber party can be as simple as ordering in a meal (or making it if you like to cook), renting a movie, and talking until the wee hours of the morning. Or, you could plan pampering spa treatments and massages, scrapbooking sessions full of reminiscing, baking with sampling included, and even bring in an instructor for dance lessons. The most important thing is that slumber parties create an environment where we can relax, be ourselves, share our hearts , laugh until we cry, and, best of all, feel young again. So, for one night, lets trade our "to-do" list for comfortable pj's and a bowl of popcorn. Let's put in our favorite cd (you know, the one that makes our kids roll their eyes), gather our friends around us, and build some new memories.